Pictured above: Saint Mark’s Evensong Choir in the choir stalls of Ely Cathedral, UK, July, 2018. 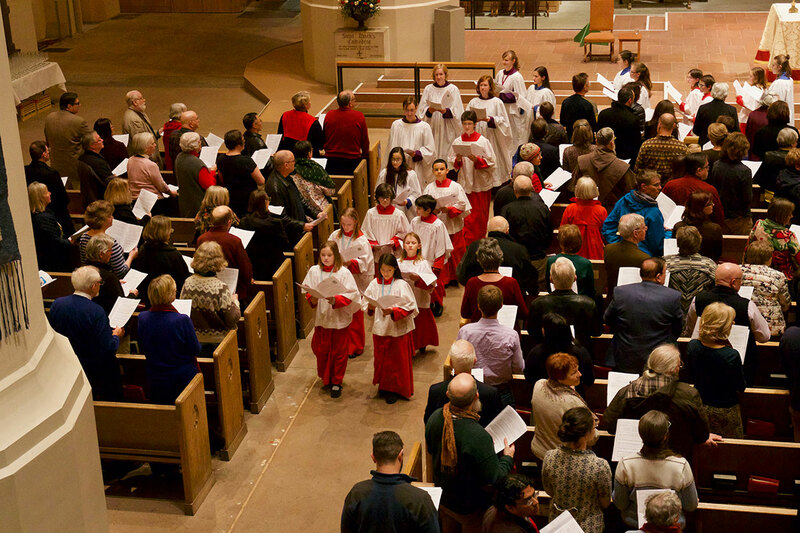 Saint Mark’s Cathedral’s music ministry was first developed during the forty-year tenure, 1951-1991, of Canon Precentor Emeritus Peter R. Hallock. 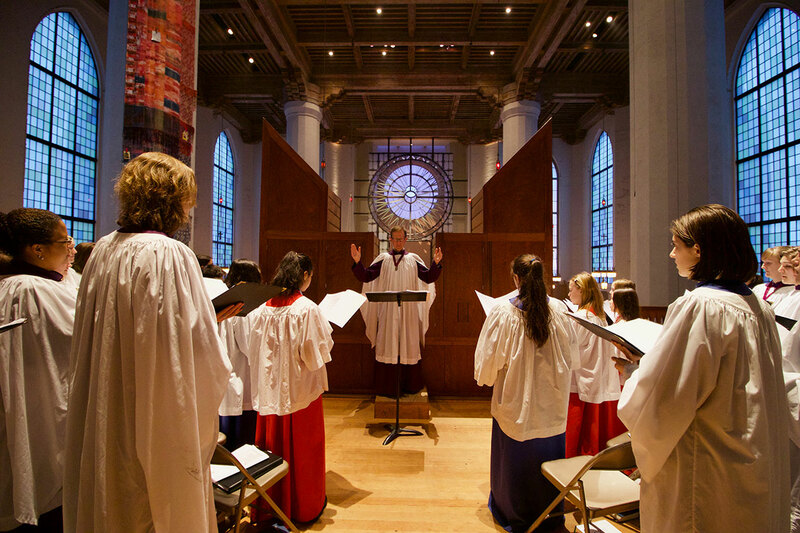 Saint Mark’s established a national reputation in music, particularly through the Compline Choir, the installation of the Flentrop organ in 1965, and through Dr. Hallock’s compositions. 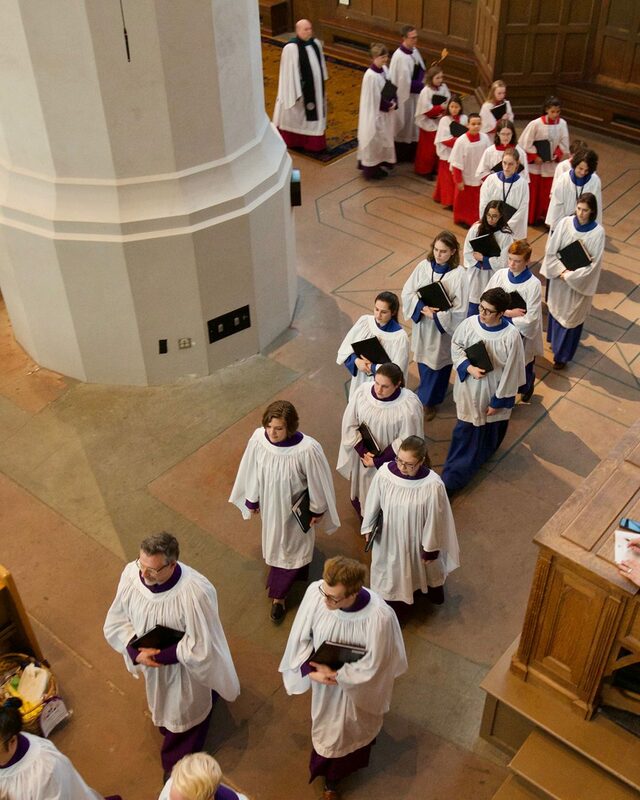 This tradition was continued in 1992 with the appointment of Mel Butler as Organist/Choirmaster. 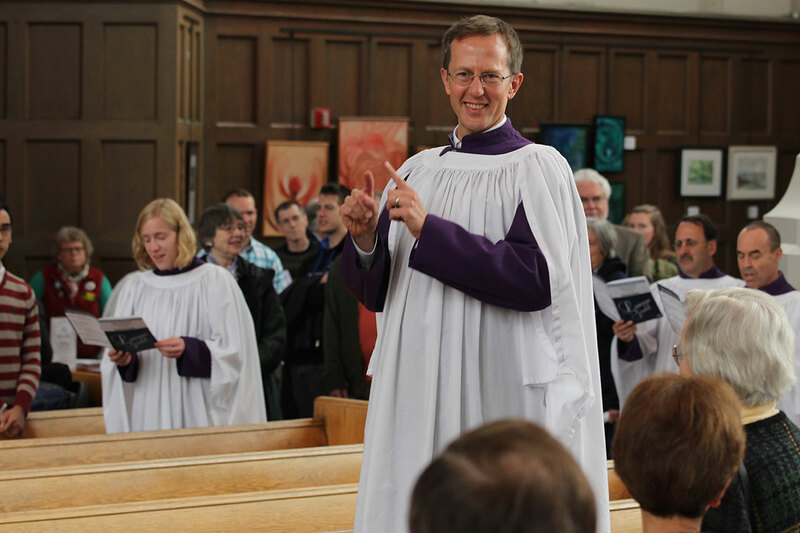 From 1996 to 2002, Dent Davidson served as Music Associate, and brought tremendous growth to the music ministry particularly in the area of youth music. 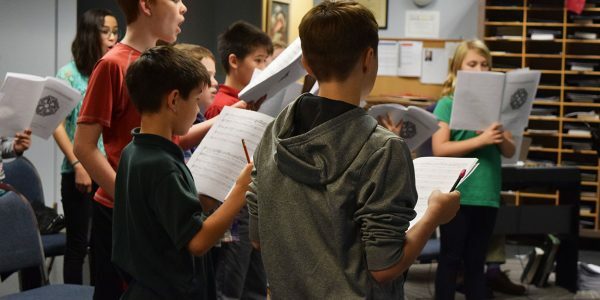 From 2001 to 2015, Brian Fairbanks served first as Associate for Youth Music, then as Associate Musician, and developed the youth music curriculum further into what is now The Saint Mark’s Choir School. 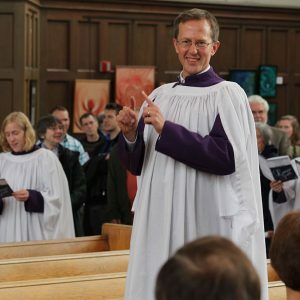 In 2015, Michael Kleinschmidt began his tenure as Canon Musician for the Cathedral and in short order appointed Rebekah Gilmore Associate Musician and Choir School Director (full time), and John Stuntebeck Associate Organist (part time). 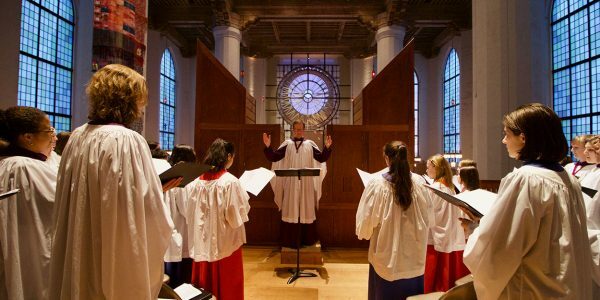 Several CDs have been produced by the choirs of Saint Mark’s Cathedral, and are available at The Cathedral Shop. 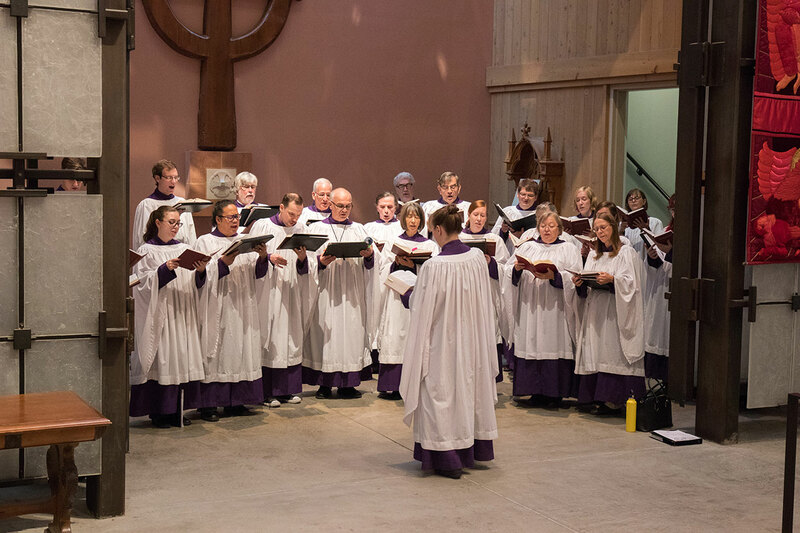 This choir of forty to fifty skilled men and women sings most Sunday morning 11:00 a.m. services, in addition to a wide range of festival services and concerts, and rehearses weekly on Thursday evenings between September and mid-June. 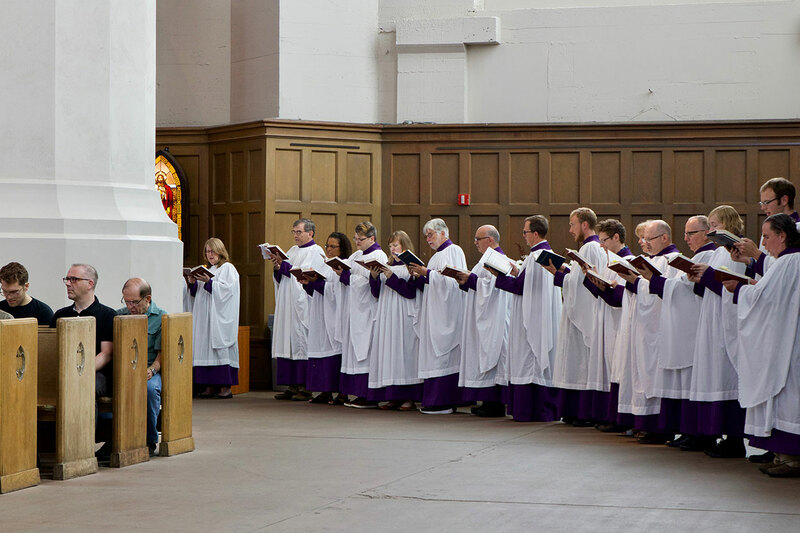 Its repertory spans over eight centuries of the finest liturgical music, from Gregorian chant to brand new compositions. Admission to this group is by audition. Please contact: Michael Kleinschmidt, mkleinschmidt@saintmarks.org, x220. 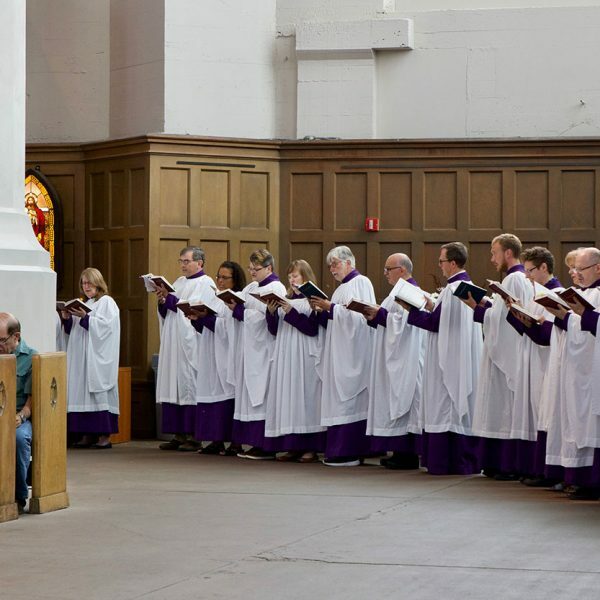 Every Sunday evening at 9:30 p.m. in the Cathedral’s darkened nave, the all-male Compline Choir offers a formal choral service of ancient prayers and praises to prepare the soul for a restful night. It is a beloved Seattle tradition. 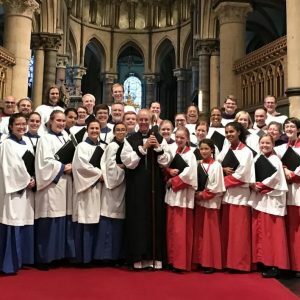 More information about the choir and the liturgy of Compline can be found on the Compline Choir website. 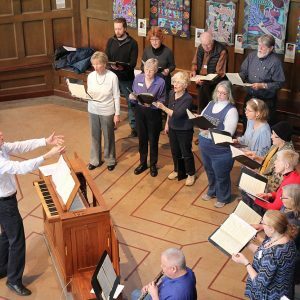 This is a group of twenty to thirty dedicated singers who provide music for the 9:00 a.m. service each Sunday, September through Mid-June, rehearsing at 8 a.m. on Sundays, and on one Wednesday evening monthly. 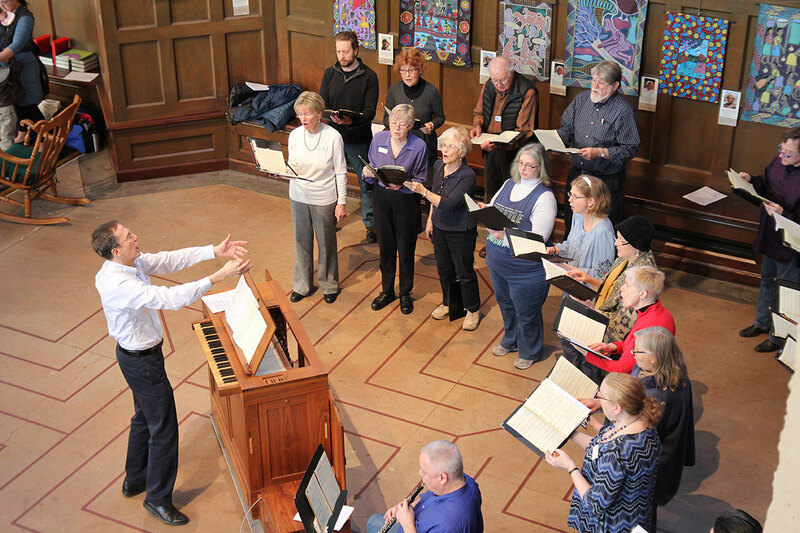 Their repertory ranges from Mozart to more contemporary styles including gospel and folksong. 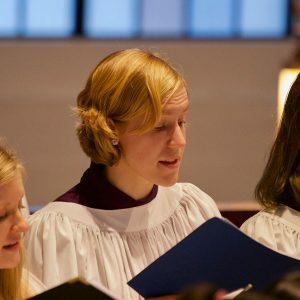 All who love to sing and want to learn more about liturgical music are welcome to join the choir. 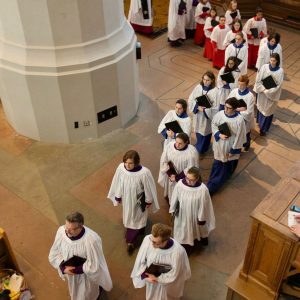 While no formal audition is required, a brief meeting with the Canon for Cathedral Music is required for admission to this group. 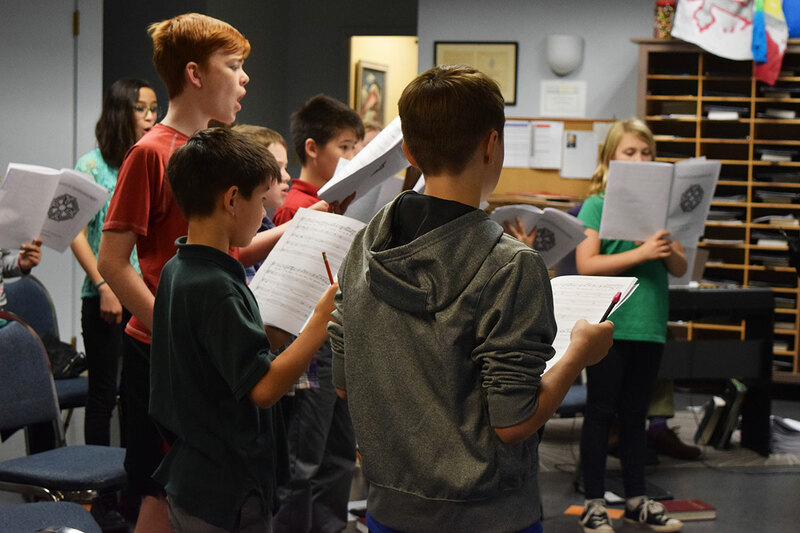 This ensemble consists of advanced Choristers and members of the Schola of the Choir School, plus twelve to twenty auditioned adult singers. 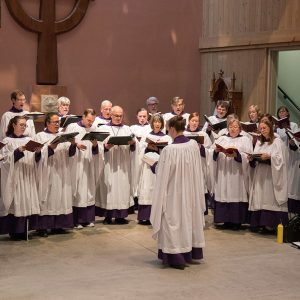 They offer Choral Evensong in the English Cathedral tradition on the first Sunday of the month at 4:30 p.m., October through May or June, and sing occasional special liturgies at Christmas and in Holy Week. 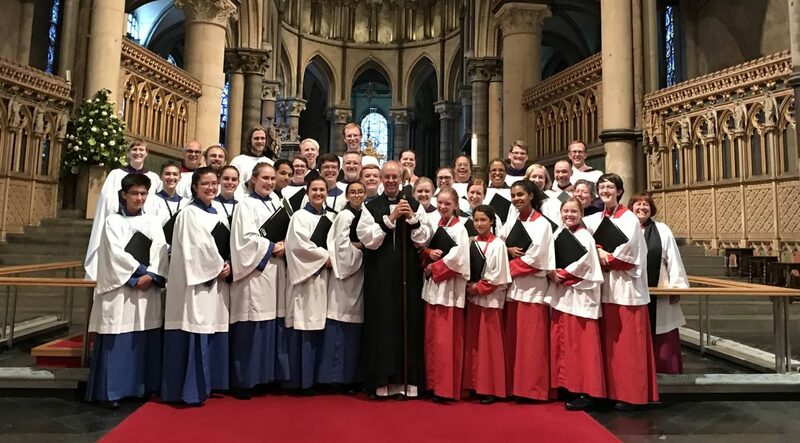 This choir served as Choir in Residence for a week at Saint Paul’s Cathedral, London, and a week at Ely Cathedral, in July, 2018. They anticipate additional residencies in English cathedrals approximately every three years. 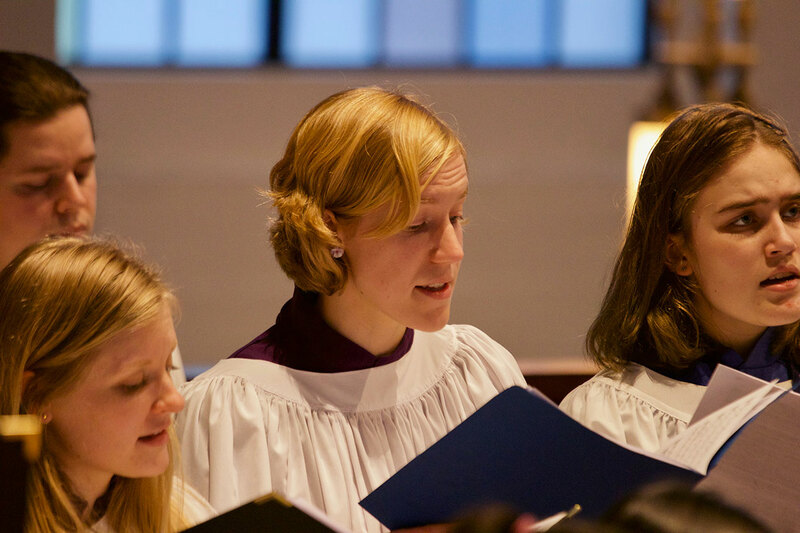 Note: The adult singers of the Evensong Choir are required to be professionally engaged as singers or directors in other churches on Sunday mornings, or members of Saint Mark’s Cathedral Choir or Compline Choir. 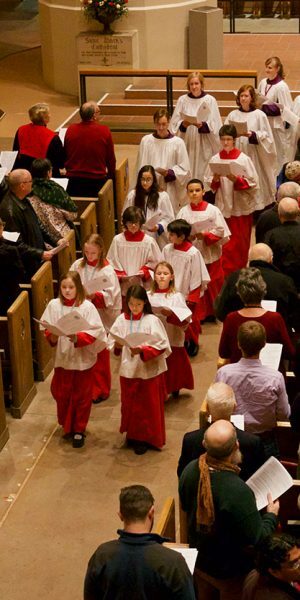 Saint Mark's Choir School is comprised of three groups of children and youth: The Junior Choristers, the Senior Choristers, and the Cathedral Schola. Read more about the Choir School here.